With Liz Sherman back in fiery action, two B.P.R.D. teams make their way through the monster-filled streets of the Manhattan wasteland in order to reach the Black Flame?s fortress and take down his army. Collects B.P.R.D. 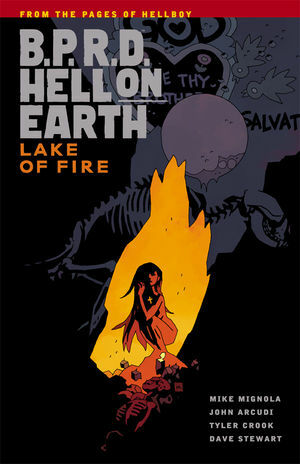 Hell on Earth #115-#119. * Featuring art by James Harren, with pinups by Mike Mignola, Rafael Albuquerque, Kevin Nowlan, Richard Corben, and Ryan Sook!